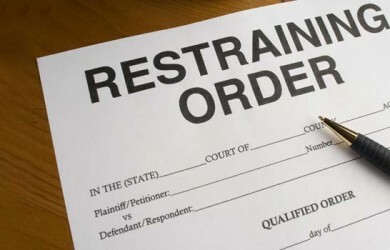 A temporary restraining order (TRO) or temporary protective order is a court order signed by a judge. It requires someone to stop harming or stalking you and is ideal for those involved in cases of domestic violence. Max out joint credit cards. Withdraw or transfer money from joint accounts to individual accounts. Sell personal property or possessions from the marital home. Once the action is filed, though, an automatic stay is triggered…thus suspending the parties from engaging certain behaviors, especially ones tied to finances, assets, property and minor children. It is important to note, though, that the automatic stays may be limited and don’t require one spouse to pay bills, support minor children, or even prevent one parent from denying the other parent access to the minor children. Although the time it takes for the legal process of ending a marriage to finalize varies from state to state, it will generally take at least three or more months of time. During that time, it may be necessary to have temporary orders in place to address such factors as custody, visitation, support, and use of property. These orders are pendent lite orders which means “pending a final decree”. Temporary orders are generally filed after the petition has been filed and served and are limited to matters the court can undo at a later date if necessary. For some matters, some orders prevent spouses from disposing of or selling assets until the court can address distribution of property and assets. This process is called an injunction or stay. Temporary orders are designed to remain in effect until the divorce is finalized. Think of it as preserving the status quo until a final decision can be made or the parties are able to come to an agreement on the specific issues. In essence, the only way to protect your parental and financial rights is to obtain a temporary order which outlines both party’s responsibilities during the duration of the divorce. This means that you will be required to file a motion for temporary orders and subsequently have to appear a hearing for the court to review the request. These hearings are generally heard within sixty days of filing the motion, so it is important to file the motion as soon as you are permitted (often with the Petition for Divorce). In some extreme situations, a party can request an expedited hearing within a few days of the motion being filed. For instance, if the other party stops paying bills or denies access to the minor children.